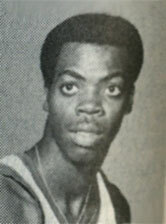 Drafted: Selected by the Philadelphia 76ers in the first round (20th pick overall) of 1977 NBA Draft. Attended Irvington Tech Vocational High School in Irvington, NJ...possible class graduate of 1972 or 1973. An Irvington Tech Hornet.